Ana Fierro, family child care provider from Modesto. 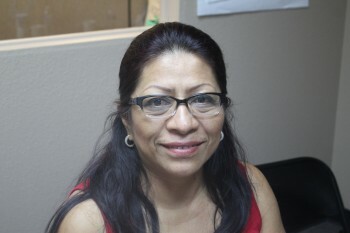 My name is Ana Fierro, and I’m a family child care provider in Modesto. My mother-in-law’s influence iswhat convinced me to open my own daycare, and 12 years later I’m still going strong. I love caring for children, and I love my work. Unfortunately, as most of you can attest, being a family child care provider is not without its problems. For me personally, one the biggest issues I face is late payments. It’s frustrating not knowing when I will be paid, and has all too often made it tough for me to stay on top of my own household bills. That’s why I’ve gotten involved with Child Care Providers United of California (CCPU/UDW). A few weeks ago I went to a CCPU meeting at the UDW office in Modesto – one of our 13 offices in California. We talked about the state’s increasing minimum wage, and how it will affect providers. I learned that a lot of providers share the same worries about paying their assistants the new minimum wage. Then I learned that UDW family child care providers worked to offset that increased cost, by winning subsidy rate increases in next year’s state budget. That means that for many of us, as the expense of paying daycare assistants a higher wage increases, so will our income as providers. And providers around the state in San Diego, Sacramento, Stanislaus, Contra Costa, Orange, Ventura, and right here in Modesto also deal with late payments through the Alternative Payment program. It felt good to not only discuss these problems during the meeting, but also brainstorm possible solutions. I know that the only way to tackle the issues facing our daycare is to unite as providers, and continue to build power together. Attending the CCPU meeting at UDW made me feel stronger and more excited, and I want to continue to build our strength. I encourage my fellow family child care providers to get involved. Attend the next meeting in October, and click here to complete our survey and let CCPU know the issues facing your daycare! Ana Fierro is a family child care provider in Modesto, California.